The ViewSonic XG2401 is a gamer friendly 1080p monitor capable of outputting 144 frames per second and if your graphics card isn’t up to that, the built in FreeSync technology will ensure it adapts to the frame rate your GPU can handle. 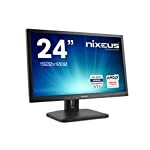 Described as a “Professional Gaming Monitor” by the Viewsonic marketing team this display offers low input lag and high responsiveness. Before going further I should mention that I bought one of these monitors. 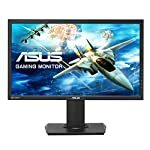 I have a professional 60hz IPS screen for work but, being a keen gamer and the author of a PC monitor website, I was keen to check out what a 144hz gaming screen could do. This is therefore a hands on account of my own experiences with this screen, and if you have any questions, I will be glad to answer them. 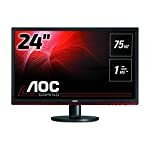 The 24″ 1080p 144hz spec seems to be a sweet spot in the current market for high performance at an affordable cost. Modern mid range graphics cards are now able to output frames at this rate and you avoid the premium placed on 4k gaming. Whilst 27″ monitors are gaining popularity many still prefer the smaller size, personally I find it easier to take in the whole screen but also it fits better in my attic work space! Note, there is a new version of this model available. You can read our overview here. The Viewsonic is a fairly standard design, it self identifies as a gaming monitor thanks to the now common red stripes on the stand. The bezels aren’t huge but they aren’t exactly thin either. They look chunky next to my Dell Ultrasharp but that’s not to say the monitor doesn’t have a smart look overall, it doesn’t seem out of place in my home office. But perhaps that’s because I have taken advantage of the 100 x 100 Vesa mount to suspend it from a monitor arm rather than the stand! Ditching the go faster stripes helps give it a professional feel. If you do stick with the stand, it has the full range of ergonomic adjustments and seemed stable to me during my brief acquaintance with it. The full range of modern connections are there, including 2 HDMI 1.4 ports capable of 120hz at 1080, if you want to ramp up to 144hz and engage adaptive sync you’ll have to adopt the DisplayPort 1.2 socket. USB 3 and headphone sockets are also included. Speakers are included if needed but let’s just say I don’t use them choosing to route sound through my HiFi instead. The XG2401 is a TN based monitor using an AUO panel capable of 8 bit colour (6-bit + FRC). 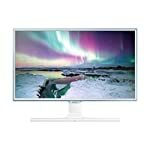 Professional reviews highlight decent out of the box performance with only some tweaking to brightness required. Where the screen really shines is it’s low latency making this a great choice for gamers playing fast paced games that require the fastest reactions. The FreeSync technology does it’s job, ensuring tear free smooth images and no annoying stutters. Why did I buy this monitor? The first “flat screen” monitor I ever bought was a Viewsonic capable of 75hz. I didn’t realise it at the time but this small boost in frames made a big difference and it was only after I “upgraded” to a wide screen 60hz monitor did I miss this feature. I struggled with a poor quality laggy replacement for years but eventually decided to ditch it in favour of a new Viewsonic that could deliver like my original one did. The XG2401 is competitively priced and one of the best quality TN panels out there. It offered 144hz and FreeSync as part of the deal making it the one for me, and I have no regrets. I now just need to upgrade my graphics card, a next gen AMD GPU capable of sustaining 144hz at 1080 will be very welcome. If you like the idea of a curved screen then the other option that should tempt you is the Samsung C24FG70. We give the ViewSonic XG2401 a 4.5 out of 5 rating. Want to know what existing owners of the monitor think? You can read real user reviews here. 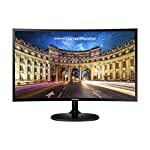 Should I buy the ViewSonic XG2401? The ViewSonic XG2401 is a 144hz gaming monitor featuring FreeSync. It has one of the better TN panels available on the market right now and beats much of the competition when it comes to image quality. I liked it so much, I bought one myself! There is a newer model available, check here. If you are having some doubts about this purchase then why not read some real owner reviews and see what other buyers think. Welcome to the ViewSonic XG2401 FAQ. This section attempts to answer common questions you may have, please get in touch if you have any more queries or if you think our answers need updating. It does have an HDMI connection but note that an Xbox can’t take advantage of its key features, such as the 144Hz refresh rate or FreeSync. If you aren’t also using it for PC gaming then you could save some money and get something cheaper. But who knows, Microsoft are trying to blur the lines between PC and Xbox gaming so who knows what it will support in future iterations!